FB150 is the smallest stabilized Inmarsat L-Band antenna providing simultaneous 4kb voice and internet access at speeds up to 150kbps. The bandwidth is contended, or shared with other users, so one should typically expect somewhat less than the 150 kbps theoretical maximum. Antennas are lightweight, about 12 inches (30cm) in diameter, and can be easily placed on almost any size of vessel. Start-up power requirements could be as high as 20 Amps (on a 12V system) but typically less than 2 Amps while the system is idle, depending on the ship's motion and sea conditions. 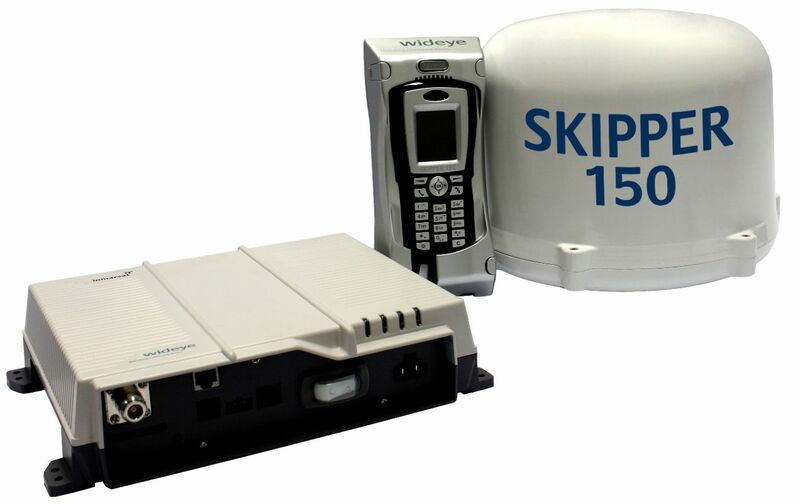 The cost of FB150 terminals is around $6000 or less, not totally out of reach of smaller vessels, but the monthly fee and the per megabyte cost of data usage could price this out of the market for the average cruising sailor. Below deck:– 6.2lbs / 2.8kg, 11.7 x 9 x 3"
The TracPhone FB150 is housed in a 13.5" (34.3cm) radome weighing 11.4 lbs (5.2 Kg). 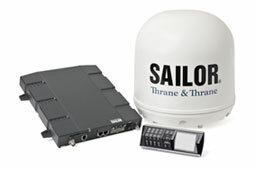 The antena uses the industry standard below deck terminal manufactured by Thrane and Thrane. 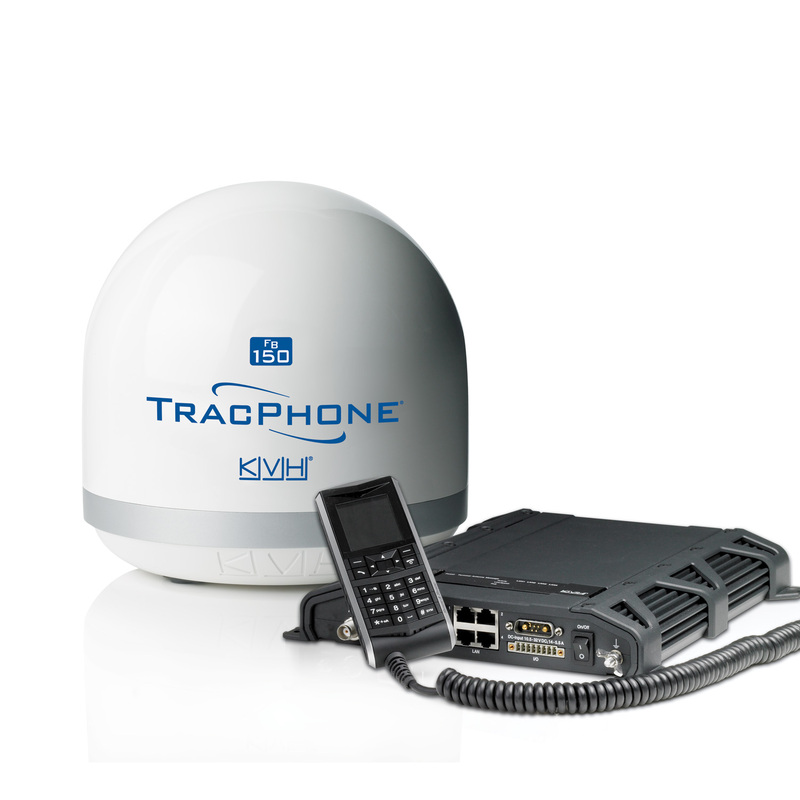 KVH provides Inmarsat airtime directly with a variety of options. Here is the KVH airtime pricelist. More product info from KVH. 21577 visits to this page since 28 Nov 2012.